When setting up your website or sending out email campaigns, it can be difficult to know how readers will perceive different aspects of your design and content. This is true for many things, including link placement and usage. With A/B testing, you can get as close to mind reading as possible. Ultimately, with a better understanding of your audience’s behavior, this technique will enable you to increase your conversion rate, and as a result, increase your profits. In this post, we’ll introduce you to A/B testing, specifically using links. We’ll show you how to use this testing to get a better understanding of your audience, resulting in a boost to your business’ bottom line, as well as how Pretty Links can be used to A/B test your links. Let’s get started! A/B testing set up in Pretty Links. A/B testing (also referred to as 'split testing') is a method used by marketers to test out different aspects of their marketing strategy and implementation. 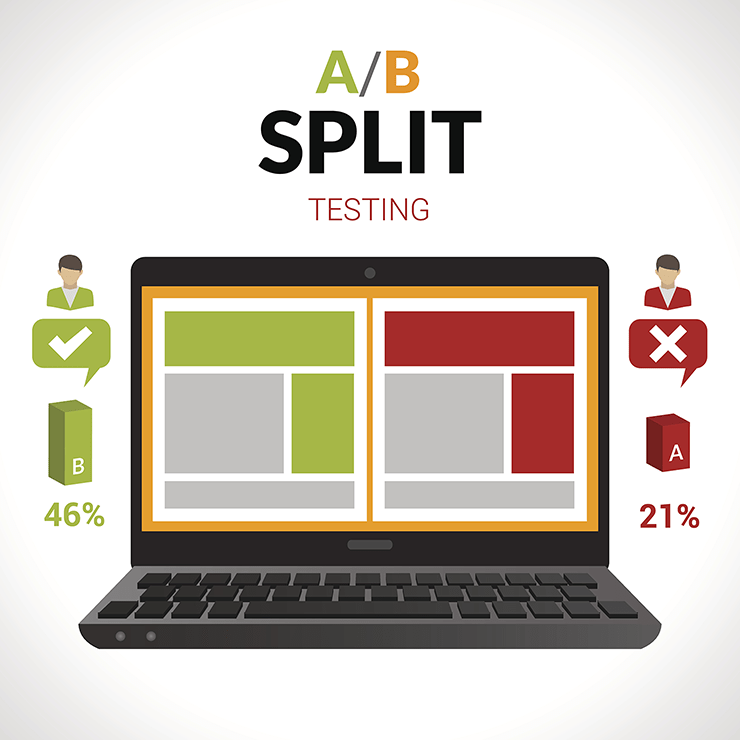 A/B testing is a more controlled form of split testing, where only two variants (A and B) are tested at the same time. It gives you insights into target audience behavior. It helps you to tweak your current practices to better provoke desired audience behavior (e.g. making purchases). While there are alternative techniques available (such as experimental design), A/B testing is one of the simplest and most direct methods for improving conversion rates. This makes it a good option for marketers, as it can provide you with clear results with very little effort on your part. Whether you’re new to marketing or a veteran in the field, A/B testing can drastically improve your business methods. Let’s take a look at how! As a marketer, you depend on your readers to click the links on your website and in your email campaigns. What you may not have considered is the importance of where you place such links. Consider, for example, that a 2016 study revealed how links placed in the "top-left region" of an email newsletter had a "higher impact" than those placed elsewhere. Studies like the above are just the tip of the iceberg; you only need to consciously observe your own behavior on websites to quickly realize how link placement drives what you click on and what you choose to ignore (or even miss entirely). Fortunately, A/B testing enables you to gain access to data that can show you where links should be placed for maximum impact. More specifically, you can test two different placements of the same link, and run a test that determines which placement attracts the higher percentage of clicks. Once you have concluded the test, you can adopt the optimal placement, and enjoy higher Click-Through Rates (CTRs) as a result. Conversion rates tell you how many of your site’s visitors (or email readers) have picked up on the cues you’ve used in an attempt to ‘convert’ them. This may mean they click a link that brings them to a product’s sales page, or sign up for your email list, or even just follow your social media page. Tracking these links is vital to understanding your readers. If you want to know what makes them click, you need to have solid evidence to back it up. Among other things, A/B testing enables you to track link conversion rates. How can these results help you? It helps you to better understand your audience. It enables you to improve future practices, increasing your conversions easily. Don’t make the mistake of relying on CTRs alone. Conversion rates are a more important indicator of your business’s success, and their tracking enables you to improve upon them. Not all landing pages are created the same. However, if you aren’t testing the destinations, you won't know which ones are better for your business. Increased understanding of visitor needs. The pages your sites visitors react to more positively will, ultimately, tell you what they’re looking for from you and your niche. More effective landing pages. A/B testing will show you which landing pages are more effective for sales or other conversions. Landing pages are the main platform for your sales pitches. This is why it’s essential to tweak them to perfection based on your visitors' needs and behavior. As a link shortening plugin, you may think that Pretty Links's features end there. Among its wide variety of other features, Pretty Links also offers A/B testing. One of the greatest things about Pretty Links’s A/B testing feature is how easy it is to set up! In just a few minutes, you can create split links for all the website and email links you would like to test. Then, once users have begun using the links, you can check out the results by clicking Split Test Report under the links you’re testing on the Pretty Links page. Links are the foundation of your marketing efforts. That means it's vital to know the best practices for their use on your website, on social media, and in your email marketing campaigns. With A/B testing, you can do just that by learning about – and taking advantage of – audience actions and behavior. 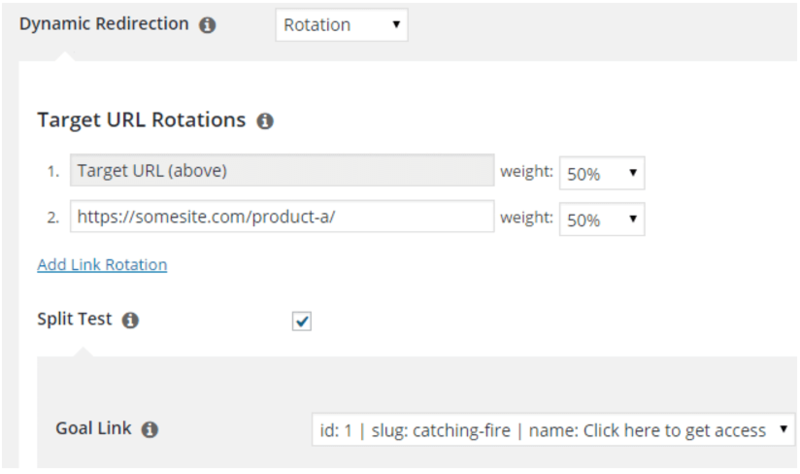 Track your links’ conversion rates. Do you have any questions about A/B testing, or how Pretty Links can help? Let us know in the comments section below!